It is with great regret that we have to report the death yesterday of Colin Blower. A Full Member since 2000, Colin was 69 years of age and had been suffering from Parkinson’s Disease for some years. A switch to an ex-Tony Lanfranchi Porsche 911 for 1983 enabled Colin to win the production sports car championship again in 1980 before several seasons in production saloon car racing with Mitsubishi Starions supported by both the manufacturer and BF Goodrich. 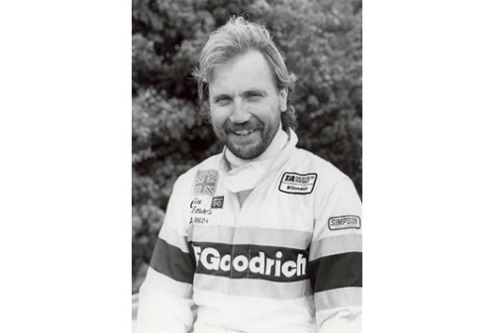 From 1984 to 1989 Colin won some 28 races in Starions and two production saloon car championships. In 1989 he headed back to TVR for the new Tuscan Challenge which attracted some high profile names. In a notoriously competitive and robust series, Colin was the Champion in 1992 and runner up in the following two years. However, in a very heavy accident in the wet at Silverstone in 1995, he sustained serious injuries and did not race for some time. Colin retained his involvement with TVR through his flourishing business Colin Blower Motorsport, and when he returned to racing in 1997, it was with a TVR Cerbera in the British GT Championship. With Jamie Campbell-Walter as co-driver the Cerbera was leading a round of the Championship at Donington Park when it caught fire, the ensuing race stoppage resulting in Colin and Jamie being declared winners on count back. Through two years with the Cerbera, followed by an Ultima GTR and a Vauxhall VX220, Colin enjoyed mixed results until 2004 when he switched to historic racing with a Lola T70 Spyder and various Aston Martins, many of which were prepared by his own Hinckley-based business. To his wife Karen and son Sam and the many friends of a very likeable person, the BRDC extends its sincere condolences. A funeral will be held on Thursday 6 July at 10.45am at St Catherine's Church, Hinckley Road, Burbage, Leicestershire LE10 2DE followed by a cremation at 12.00pm in Nuneaton. A celebration of Colin's life will be held afterwards at the Meeting Centre, Marchant Road, Hinckley, Leicestershire LE10 0LQ. In lieu of flowers, Colin's family have welcomed donations to Parkinson's UK.